In a day when youth is coveted, newness celebrated and forward-thinking revered, being 217 years old could seem like a bit of a drag. But not for Johnstons of Elgin which claims “you can’t buy heritage or provenance”. 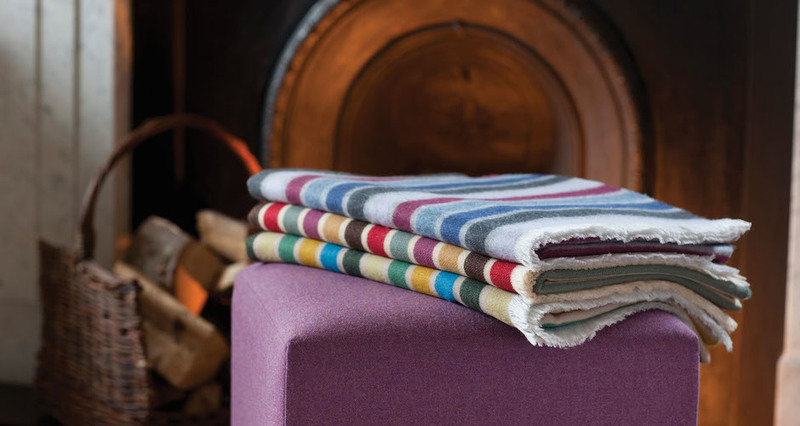 The luxury cashmere and fine woollens expert has been a quiet vanguard in the production of these tactile fabrics since 1797. Experienced, driven by perfection and fiercely loyal to its roots, it seems that at 217 the company is still very much in the prime of its life with no indication to the contrary. In fact, just last year it was awarded The Royal Warrant by HRH The Prince of Wales – exactly what you would expect from such a prestigious name and proof that it’s not going anywhere anytime soon. And the Royals aren’t the only famous fans the brand has – fashion’s heavyweights are as much in love with the beautiful Johnstons textiles. Last year, sartorial maverick Vivienne Westwood chose the brand’s cashmere for her Vivienne Loves collection – a collaborative affair with Britain’s most esteemed brands. Discerning fashion eyes will have spotted the brand’s quality parading down the catwalk of Christopher Kane’s Autumn Winter 2012-13 show having been transformed into oversized, jewel-toned jumpers. And as if that wasn’t enough, it’s also understood that those covetable Burberry scarves are the product of its inimitable cashmere, although you didn’t hear it from them – Johnstons’ unwavering discreetness is just another reason to love this charming brand. A heartbeat seems a fitting visual for this brand. Steady and consistent, Johnstons has made it a lifetime goal to be the best in its field and has the achievements to prove it. Since its early days exhibiting at the 1855 Paris EXPO (where it was awarded a diploma) and visits to the factory by Vogue journalists in the 1960s, the brand has successfully risen head and shoulders above its competitors. And notably, it’s done this both in product quality and manufacturing techniques. Ethically sourcing its cashmere from farmers in Inner Mongolia – an area world-renowned for its superior fibres – the brand ensures that the product journey starts out exactly right. First, the cashmere is carefully collected from the underbelly and neck of the goat – both areas which produce the finest hair. “The fibre, by natural selection, has evolved to protect the goats from the harsh, cold weather of their natural habitat and provide a natural softness and warmth,” says Alistair Macdonald, the company’s director, “[It’s] very fine, which gives a lightness to the finished product.” The director goes on to explain, “the demand [for cashmere] outstrips availability, making the fibre even more exclusive.” Just another reason to lust after these cosy products. Once the fine hairs have been separated from the coarser ones, they’re then transported back to the UK where the raw strands are washed in “the softest Scottish waters”. At the Johnstons factory, these are then taken through up to 30 stages to reach final product stage. They do say that the journey of a thousand miles starts with a single step and this brand ensures that that step is as good as it can be. Such a commitment to quality doesn’t end with materials, of course – the brand matches the quality of its raw materials with its manufacturing processes too. In fact, in many ways, it’s Johnstons’ unique production process which sets it apart from the rest of the pack. 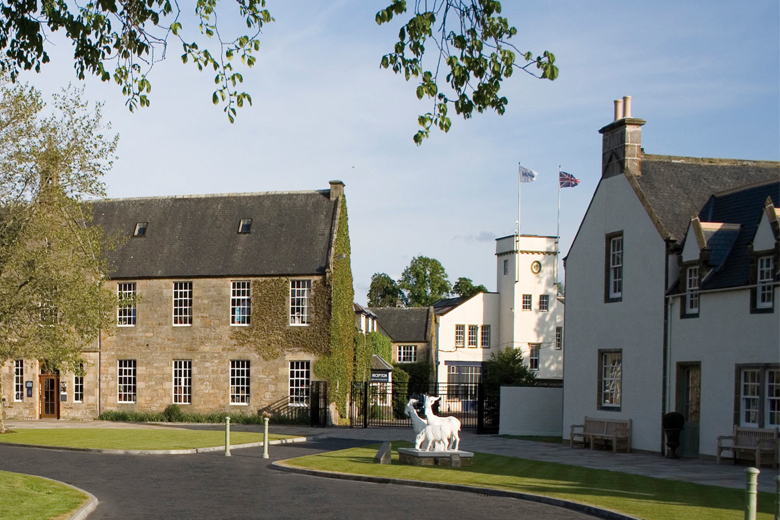 From weaving vicuna and cashmere in 1851 – a pioneering move for Scotland – to purchasing of one of the world’s most sophisticated weaving plants in the world, Johnstons has remained ahead in the textile game. But that’s not to say that lip service shouldn’t be given to the carefully honed skills which have been handed down from generation to generation – this is a heritage brand after all. “In both the knitting plant in Hawick and the weaving plant in Elgin, skilled craftsmen and women ensure that skills preserved through generations of families are represented in the contemporary products made today,” we’re told. 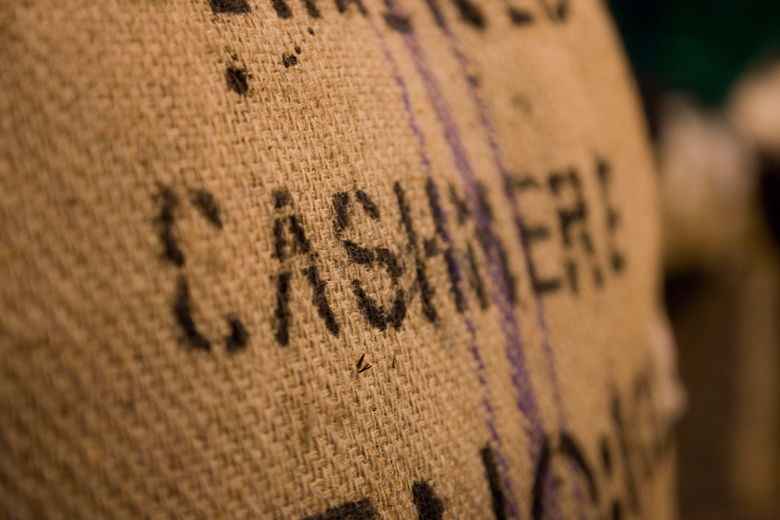 It’s because of this that, in 2011, the company won the prestigious UK Fashion and Textile Gold Award which recognises export achievements and retention of domestic production, skills, standards and employment. Keeping these processes close to home seems to be an equation for success as well. 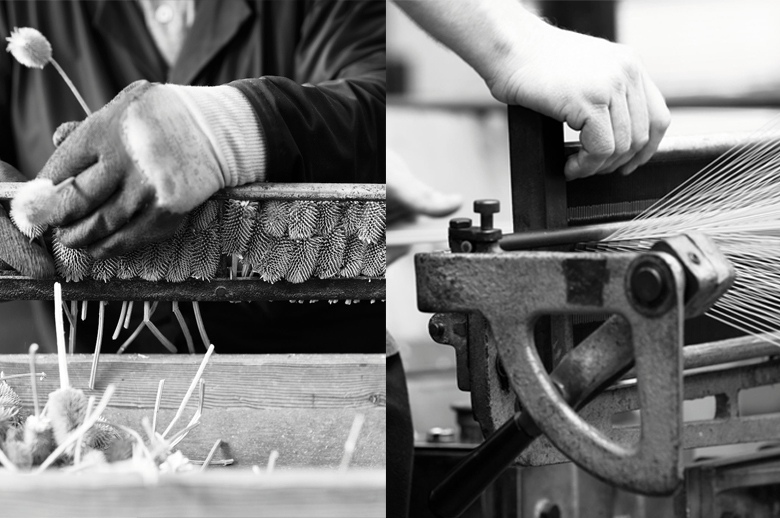 “Being the only vertical mill still standing in Scotland allows us to keep an unwavering eye on our product,” the brand communicates, “from raw fibre in the wool store, to perfected garments on the showroom floor, from dyeing to blending, carding to spinning, winding to weaving, knitting to scouring, milling to teaselling, cutting to folding – it all happens in our own mills on Scottish soil.” A precise colour match here, a perfect cut there – every element is expertly executed with no room for fault or error. It is perfection in woven form. To some, such praise might seem insincere or even over-the-top. 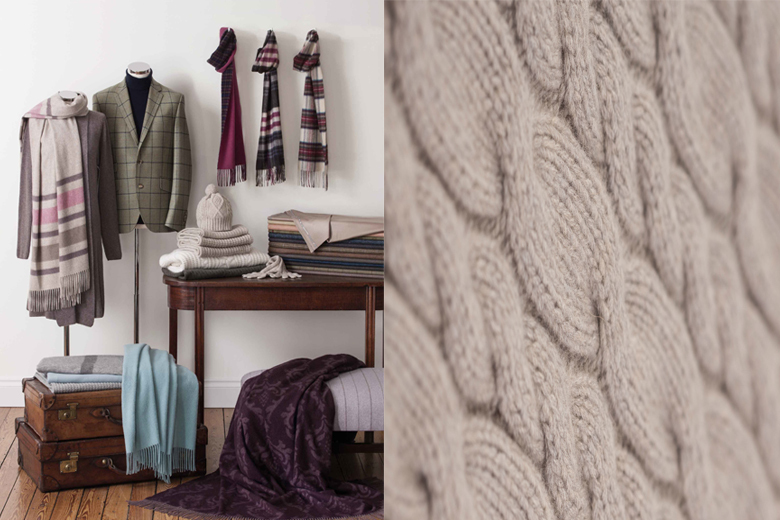 Those are the people who haven’t yet had the experience of loving a finished Johnstons of Elgin product – a timeless cashmere crew neck jumper which works with everything from jeans to a silk skirt or a tartan throw which was once owned by a great-grandparent. It’s an enjoyment which transcends time. And space for that matter. Despite its worldwide presence in over 50 countries from the United States to Japan, the brand is still proudly Scottish. “Scotland has an outstanding reputation for quality and consumers have a clear understanding of what a luxury Scottish textile product should be,” Joan rightly answers to the question of why the company (thankfully) refuses to relocate its production. In its most patriotic message, the brand claims “we always have been and always will be, made in Scotland”. And in this day and age, that’s a comforting thought indeed.